Scottish Borders Council (SBC) have received positive feedback from people using social care services through Self-directed Support (SDS). The feedback comes from a review by SBC’s Social Work department in June. A questionnaire was sent to the 316 people receiving support through SDS as well as local care providers and care staff. The results showed the majority of people felt that SBC are meeting key duties in terms of the assessment and planning process. There was a particularly positive rating of 91% for the dignity and respect that people felt they were shown by their care manager or social worker. Providers and social care and health staff who responded were positive about implementation. It was recognised there are still some key challenges, such as an effective way to ensure that the new SDS paperwork is available online and that there is a range of suitable provision available throughout the Borders. Councillor Frances Renton, executive member for social work and housing, said this week: “This review lets us know we are making good progress with our implementation of SDS and are moving in the right direction. It was very encouraging to receive such positive feedback, particularly about the way people feel they are treated by our staff. What we heard from the staff themselves and our partner providers was also welcomed. 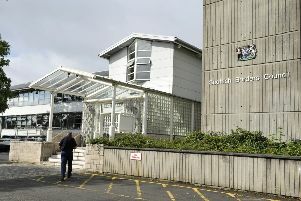 Changes to the funding of SDS through charges to users had been criticised, with some of those in need of care being placed in debt.